Baptist clothes in a very modern style to christen your little boy. 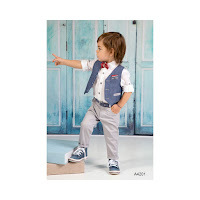 Combination of gray and blue in trousers and vests to make you the one you like. 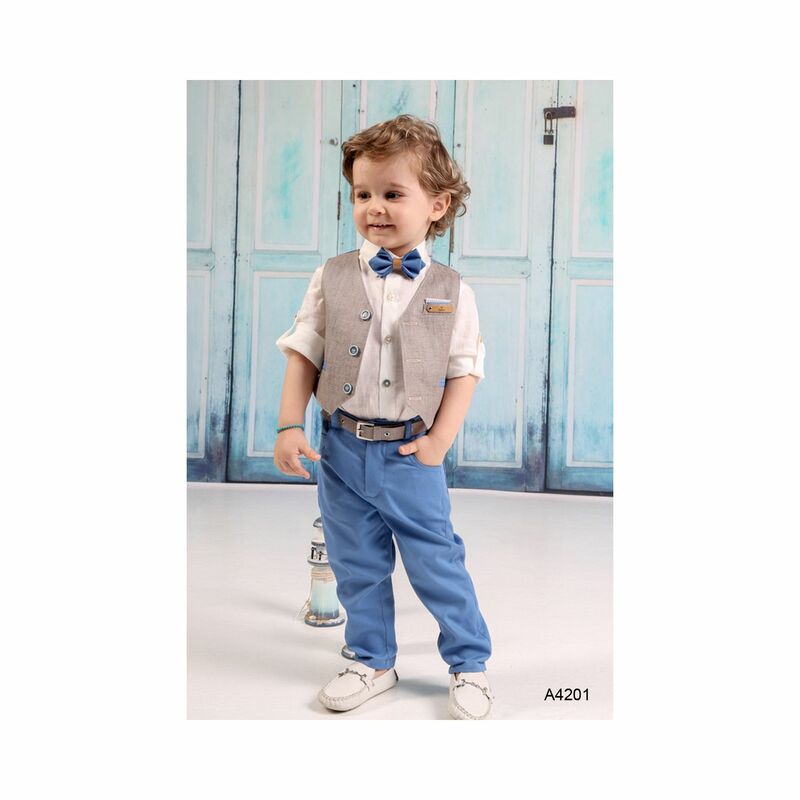 Cotton pants in gray or blue combined with a white linen shirt with a beautiful fit on its sleeves, a fabric belt and a textile bow tie. The vests in gray or blue and these have beautiful two-tone details in their pockets. 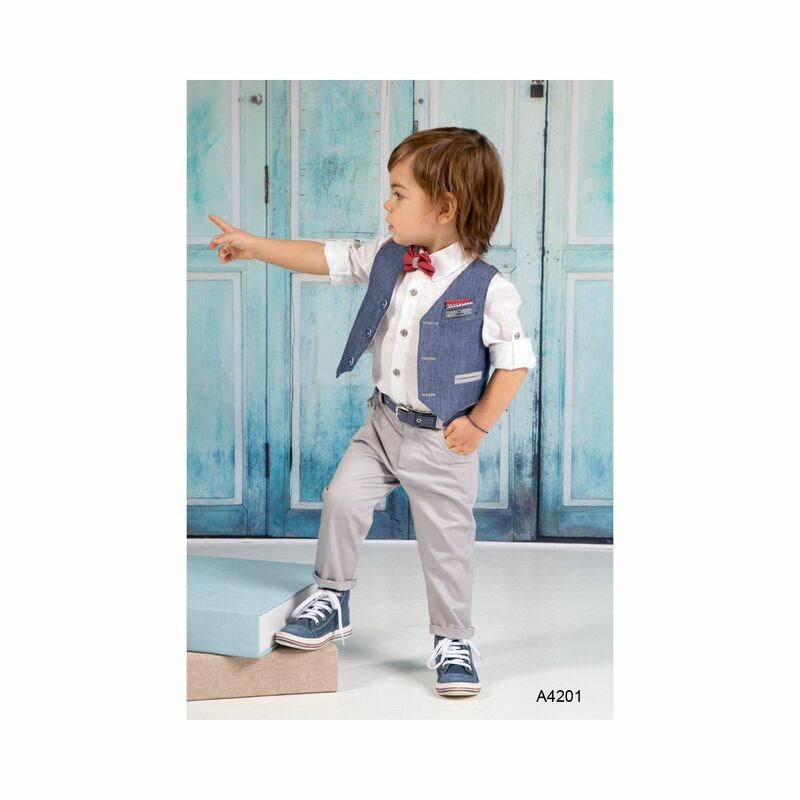 https://www.preciousandpretty.com/2018/07/modern-christening-clothes-for-summer-baptism-A4201.html Greek Wedding Favors|Orthodox Crowns|Stefana|Baptism Invitations Modern Christening clothes for summer baptism A4201 Modern christening clothes for boys, with white linen shirt and cotton pants in gray or blue color. Product #: Greek Wedding Favors|Orthodox Crowns|Stefana|Baptism Invitations_7426536335039452194 5 stars out of 5 reviews.